HostMonster is an integrated web hosting, site builder, and domain name registration platform. 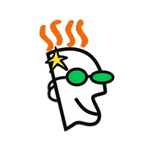 It offers users with unlimited storage, domain hosting tools, secure shell access, site statistics, and more. In this article, we cover HostMonster reviews and pricing. Ready to get started? Visit its website. 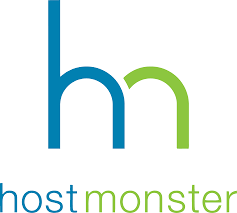 As of March 2019, there are very few positive reviews about HostMonster online. If you are a past or current HostMonster customer, leave a review to help other small business owners who are deciding whether or not to use its services. Users who gave HostMonster a negative review complained about poor customer support. Many long-time users also noticed a decline in the quality of service, saying that it used to be a reliable web host, but is not any longer. They also said that it is better to use for personal blog sites, and not business websites. One user who gave HostMonster a negative review on HostAdvice said that he has been a HostMonster customer for more than 10 years but noticed a steep decline in the quality of its hosting services. He said that HostMonster used to be a great and reliable web host. However, he recently experienced waiting for more than an hour for customer support and complained that most of the agents lack the technical knowledge to help and instead keep on selling new products and services. HostMonster pricing is based on four subscription options: Basic ($9.49/month), Plus ($12.49/month), Choice Plus ($14.99/month), and Go PRO ($25.49/month). The main differences between the plans include the number of websites, storage space, and email accounts as well as access to premium features like spam prevention and backup protection. Users need to pay an additional $15.99 for the domain name registration. Ready to get started with HostMonster? Visit its website. What CMS or website scripts does HostMonster support? 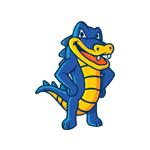 HostMonster supports form-mail scripts, Moodle, Tikiwiki, Joomla, Drupal, and more. Interested users may visit its website for a complete list of web scripts that the platform supports. Can users transfer their existing domain name to HostMonster? Users can transfer their existing domain name and even migrate their entire website to HostMonster. Have you read these HostMonster reviews and are still not sure if it’s the right fit for you? 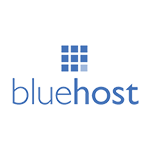 Read our reviews of all top web hosting providers or check out one of these three HostMonster alternatives.